Hi guys, I know it has been a while I have written but I refused to write anything on my old laptop. Since I had paid for my new laptop earlier, I made myself wait till I got the new one before writing this. What can I say about my new laptop? Not much yet as I just started using about 3 days ago. Let me use for a month then I can do a non-technology geek review. However what I can say as of now is that I love writing on this laptop. It is such a breeze and I love that I don’t have to wait 5 minutes before I can switch programs. 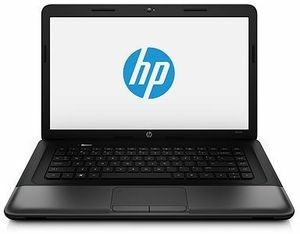 I know I asked you guys on your opinion about the HP 635 or Compaq and now I say I have a HP655 but it happened that when I wanted to pay for the laptop, the sellers did not have the HP 635 anymore. They had this! I checked the net on this and compared to the former, this was said to be quite okay. What I know I am going to love about this is the BATTERY LIFE. It is supposed to last from 4-5 hours depending on what you are doing. Can you imagine that? That means if there is no light for a couple of days, I can still write an entry each day till there is power supply…….Whoop! Whoop!! I gotta go. Not feeling too chatty or writty today. Got family issues but I trust God to intervene in the situation. I refuse to believe any other report but his. Maybe I would be better tomorrow and chat about the webcam feature of my laptop and the mischevious things I intend to do with it.